More than 90 per cent of all organisms that have ever lived on Earth are extinct. Scientists suggest that more than 65 million years ago, an extinction level event took place that killed the dinosaurs. Whether this was an asteroid, or a gradual change in climate - the undisputed kings of the food chain failed to adapt and became extinct. This is exactly the situation playing out in today's rapidly changing digital landscape. Adapt or die. As Darwin said, it is not the strongest of the species that survives, nor the most intelligent that survives. It is the one that is most adaptable to change. 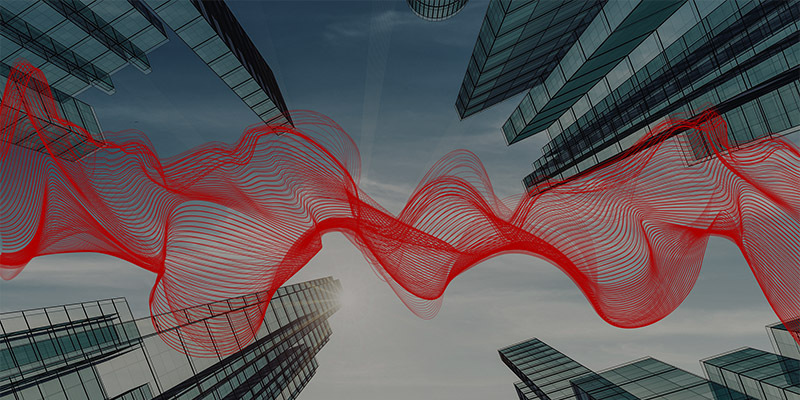 This is what has been revealed by Vodafone’s latest global security study of over 1,400 security decision makers from around the globe. The research shows that, through the implementation of strong cyber security, businesses who can adapt to the vast, sophisticated and changing cyber threats are able to reap the rewards and become hugely successful. Although 64 per cent of the participants are concerned by these cyber threats and the serious risks posed to their business, including catastrophic data loss, network breaches and reputational damage, the research has encouragingly exposed that strong cyber security and business success are increasingly interlinked. Many businesses believe that security acts as a powerful enabler of new opportunities for innovation and growth. Eighty-six per cent of high-growth companies – that is, those whose revenue increased by over 10 per cent over the last 12 months – agree, believing that having strong cyber security enables new business opportunities. Among businesses whose revenue shrank over the last 12 months, just 57 per cent believe this. These high-growth businesses also said they expect to see an average of 6.7 significant financial benefits from improving their cyber security (from a range of business, productivity and customer gains), compared to businesses that are losing revenue, who only expect improved cyber security to realise 3.9 significant financial benefits. The conclusion is clear: Growth businesses are investing in and making cyber security an integral part of their ICT budget, and realising a broad range of business benefits as a result. Secure businesses also attract customers’ loyalty, trust and ultimately their custom, according to the study, especially in a landscape of increasingly pervasive cyber-crime. Eighty-nine per cent of businesses agree, and a further 90 per cent stated it would strengthen their reputation in the market. The research highlighted this is a mutual feeling around the globe. Customer trust is key for business success. In India, they rated this factor the highest at 97%, with US businesses equally rating it highly at 92%. News travels fast, and bad news travels the fastest. Within hours of a data breach going public, Equifax was swamped with negative coverage, customer complaints and tumbling stocks – a situation no organisation ever wants to find itself in. The truth of the matter is, a business that invests in a cyber-ready culture will reap the rewards, and those that do not will fall behind. Evidently, as Darwin strongly emphasised, those who are willing to adapt to change will survive. The cyber threats will continue to evolve, becoming more sophisticated and harder to control. Hence, it will only be the businesses who adopt a strong cyber defence and a forward thinking cyber-ready mind set, as well as making sure security becomes a powerful acceleration of growth, innovation and customer satisfaction, who will survive. Want to learn more about how cyber security is helping drive better business? Download the full research report, infographic and executive summary.